"Newly hand-built digital video A to D and D to A with ALU bit flipping. Controlled by an ELF II computer. 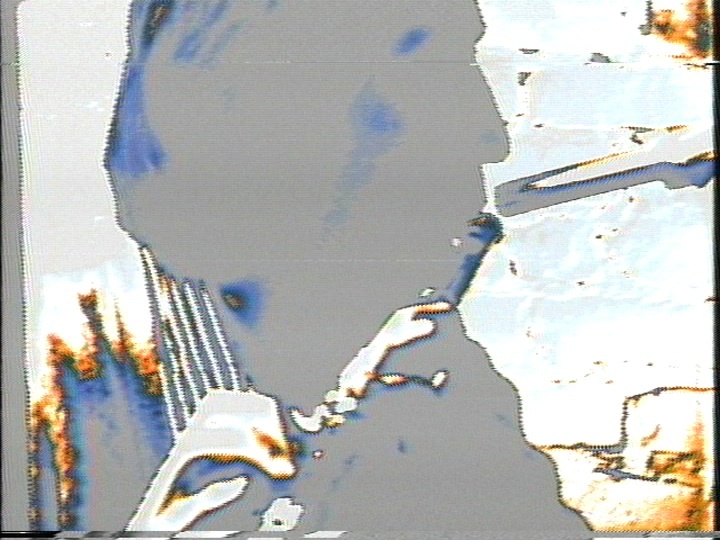 The image brightness changes also controlled analog synthesizer parameters of the live flute playing. I sat in the camera image zone and played along with the programmed staccato picture and sound shifts. David Jones, digital video design."